Super Smash Bros Ultimate brings the long-running fighting game series to Nintendo Switch. It brings more characters than ever before as well, with 74 included at launch. There are even DLC characters coming later down the line. To help new players decide which fighter to choose, and to reacquaint veteran players, we’ve been putting together character guides for each fighter. In this Super Smash Bros Ultimate Toon Link guide, we’ll be looking at the Wind Waker version of Link. We’ll detail the changes that have been made to Toon Link since his last appearance, take a look at his Final Smash, and list the Alternate Costumes that you can choose from. 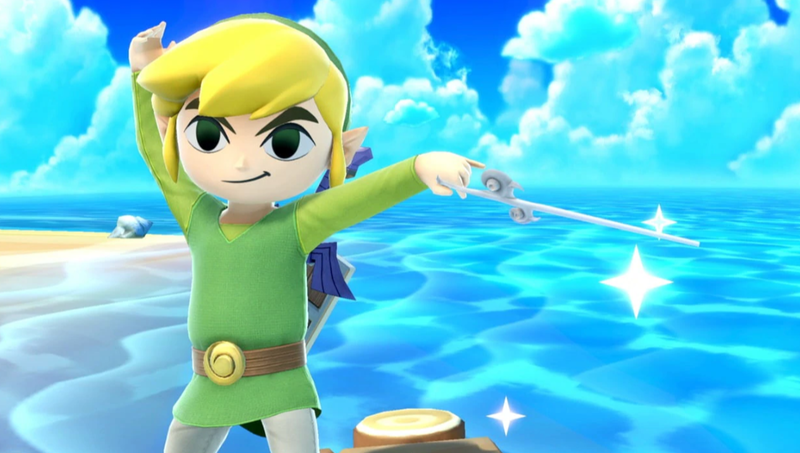 We love Toon Link here at USgamer, and he’s one of our favorite characters in Super Smash Bros. Ultimate. In the table below, you can find a complete list of all the moves that Toon Link can use. Several of Toon Link’s animations have been changed including jumpsquat, idle, victory, dash, down and side taunts, and boomerang. Triforce Slash has been updated with new visual effects. Boomerang now bounces when it hits parts of the stage. Grounded Spin Attack results in more knockback. 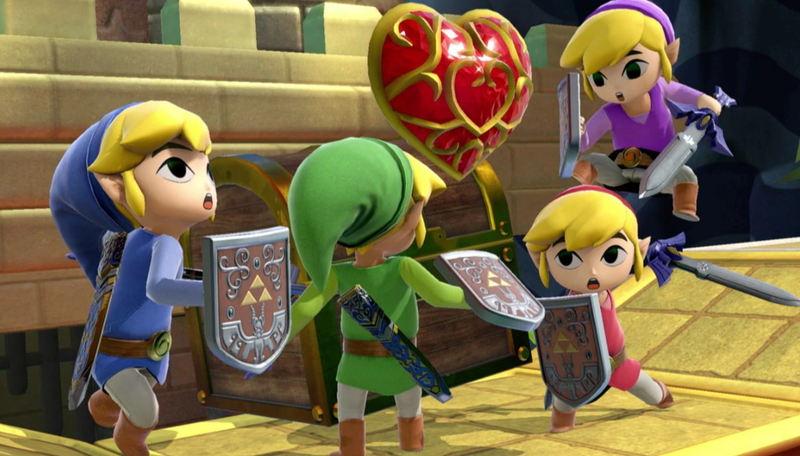 Toon Link comes with a bunch of awesome Alternate Costumes for players to choose from. 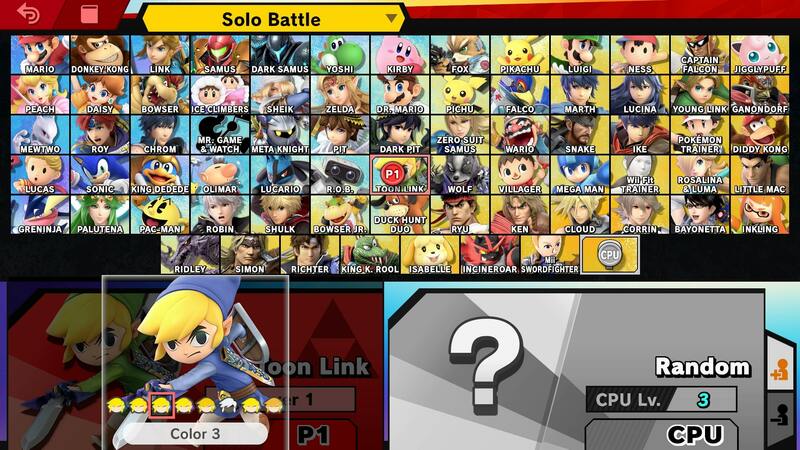 Most of them are color swaps of his default outfit, in red, blue, purple,brown, light blue, and dark green. There’s also a Dark Toon Link, with a black outfit, face and white hair. You can see the blue, green and red variants in the image embedded above. Toon Link’s Final Smash is still Triforce Slash. It involves Toon Link landing multiple hits with his sword while the Triforce flashes on screen. You can see it action in the video embedded above. That’s everything we know about Toon Link in Super Smash Bros Ultimate. We’ll be updating this guide as we learn more about the game, so stay tuned for further details. For more on the game, head over to our Super Smash Bros Ultimate Guides Hub.